Wahunsenakah Lodge 333 held their final event at Bayport Scout Reservation on August 14-16, called the "Bayport Bash." The event served as their fellowship weekend, and a triangle-shaped patch was issued featuring E. Urner Goodman as the first recipient of the Vigil Honor. Camp Pipsico was the site of Wahunsenakah's Summer Service weekend, held September 18-20. 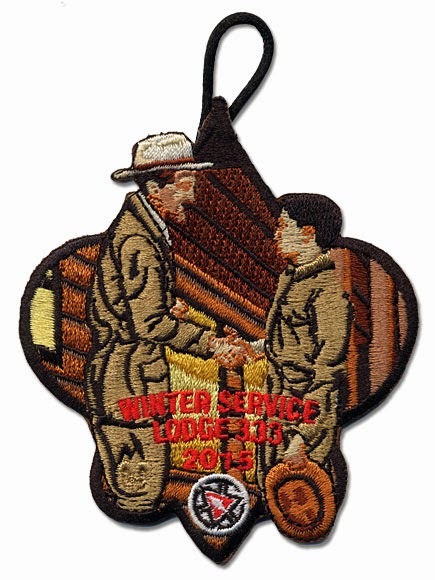 A turtle shaped patch picturing Arrowmen from different eras of Scouting was issued. Both emblems were designed by Barry Green, and include the Centennial totem recognizing 2015 as the 100th anniversary of the Order of the Arrow. Wahunsenakah Lodge 333 of Newport News, VA held their annual Winter Service Weekend March 27-29. The event was originally scheduled for February 20-22, but was postponed due to sub-zero temperatures. The patch issued for the event celebrates the centennial anniversary of the Order of the Arrow, depicting E. Urner Goodman (co-founder of the OA) being recruited by a young boy named Gil Talmadge to become a scoutmaster. 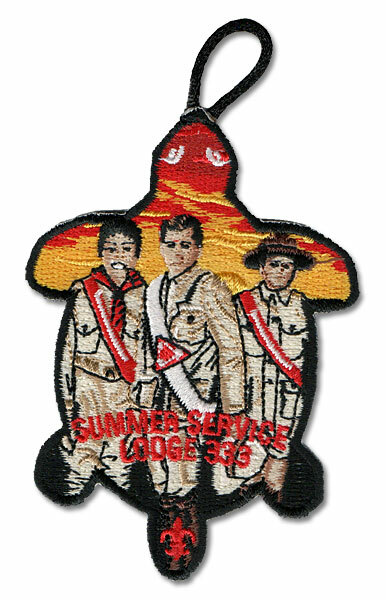 At 20 years of age Goodman became Scoutmaster of Troop 1, the first Boy Scout troop in Philadelphia. 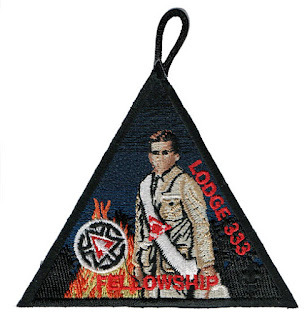 The patch was designed by Barry Green and is the first in a series recognizing the 100th anniversary of the Order of the Arrow. The OA Centennial totem is featured at the lower center of the emblem.